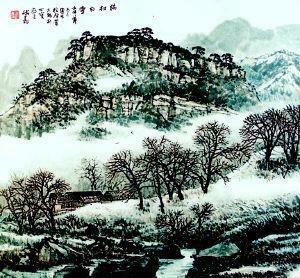 Yang Chun Bai Xue (阳春白雪) - White Snow in Early Spring, lute music (琵琶曲), was composed by Shi Kuang (师旷), 572 BC - 532 BC. Listed as one of ten best ancient Chinese music pieces, "White Snow in Early Spring" is said to be composed by Shi Kuang, a musician of the Jin State, or by Liu Juanzi, a musician of the Qi State in the Spring and Autumn Period. The music portrays a vivid scene of early spring, when everything bursts into life after the long cold winter passes through.